These are no ordinary Princesses. If there’s an animal in danger they’ll be there, ready to stage a daring rescue! With their ninja skills and magic jewels, they’re Princesses on a mission and nothing, except the occasional dress-fitting or curtseying lesson, will get in their way. 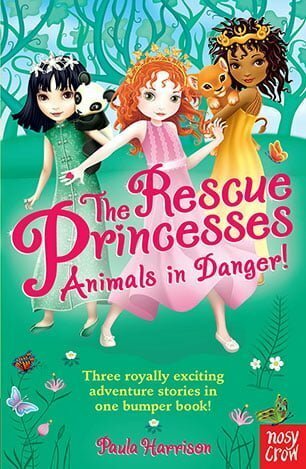 Join Princesses Emily, Lulu and Jaminta in the first of their adventures. Each story features an exotic location and a thrilling rescue mission. 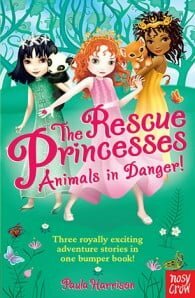 From the Crystal Mountain of Onica to Emily’s first Grand Ball, the princesses must spring into action to protect animals in danger! Hang on to your tiaras and get ready for some right royal adventures!